A quick weeknight dinner, ready in 20 minutes. 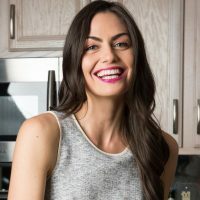 To help you figure out what to make for dinner when you don’t feel like cooking after a long dat at work, I created a new playlist on my Youtube channel called Weeknight Wonders. 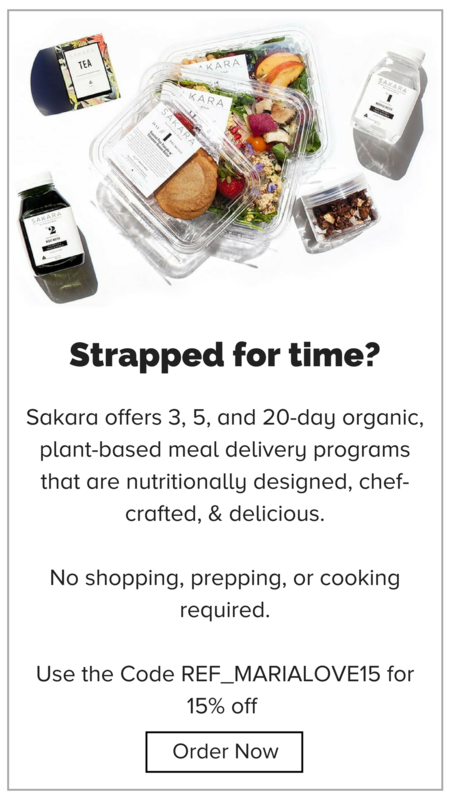 It’s dedicated exclusively to delicious, yet simple and fast healthy dinner recipes that are on your table in 30 minutes or less. 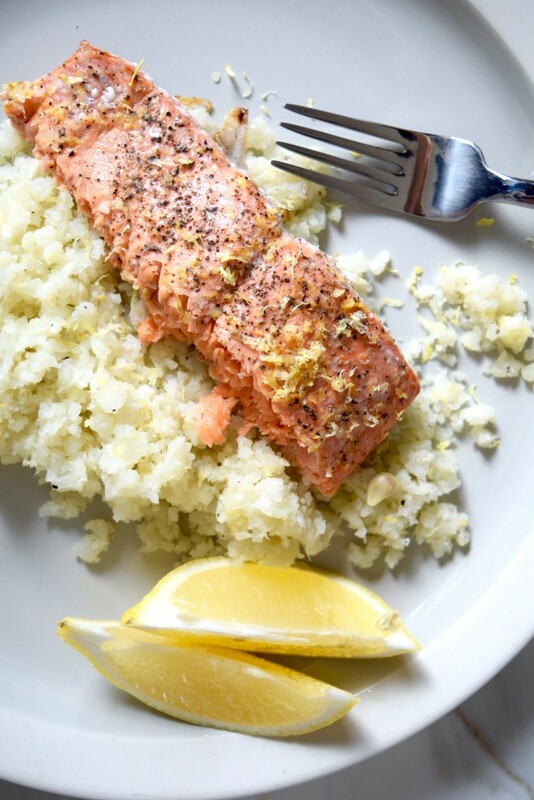 This Lemon Pepper Salmon with Cauliflower Rice is ready in just 20 minutes. 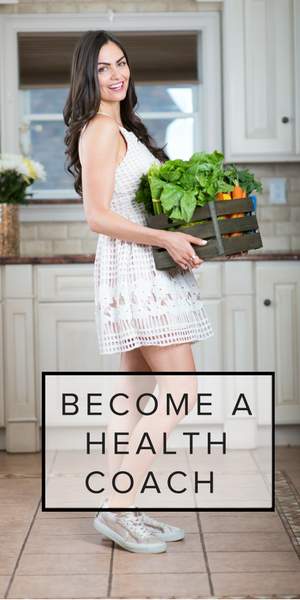 If you haven’t already, be sure to subscribe to my YouTube channel so you never miss a recipe. The printable recipe is at the bottom of this post. 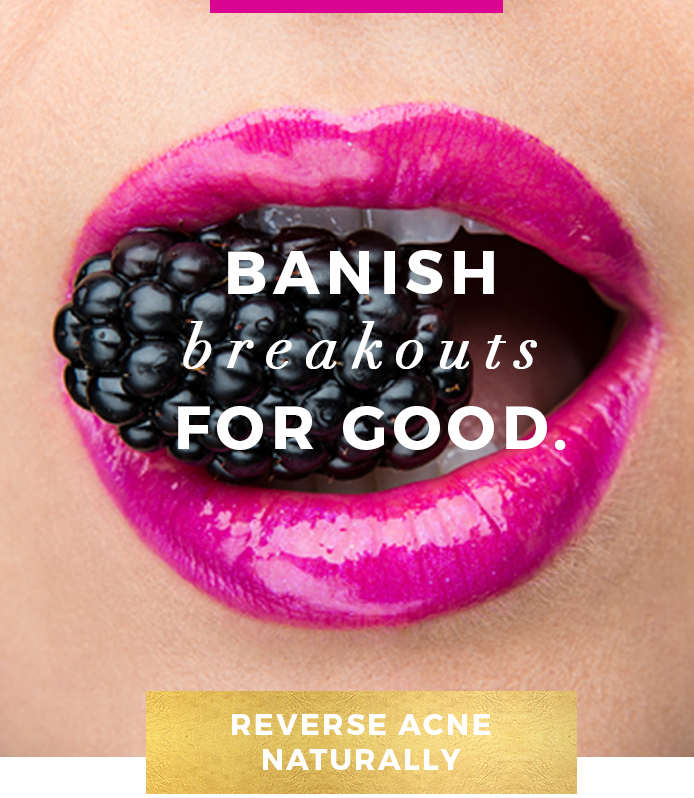 Reduce acne: Omega-3 fatty acids help reduce inflammation in the body…and our skin. Adequate omega-3 consumption can help bring down the bumps and redness associated with acne (4), and is a key part of my EatBEAUTY program to clear acne. Lemon: Lemons and limes may be rich in Vitamin C, but what makes them unique compared to other fruit is their limonoid content. Why? They are anti-carcinogenic. Anti-carcinogen: Limonoids are unique to lemons and limes, and have been shown to help fight cancers of the mouth, skin, lung, breast, stomach, and colon in laboratory tests with animal and human cells. According to USDA research, what makes them so interesting and powerful is that they can remain in the bloodstream up to 24 hours in some people. This is significantly longer than most other anti-carcinogens. For example, phenols in green tea or dark chocolate only remain in the blood stream 4-6 hours. As I explain in my book, The Real Food Grocery Guide, it’s important to choose high quality, wild seafood, to limit exposure to mercury, PCBs, and other toxic chemicals. Personally, I only eat wild seafood, and in small amounts. 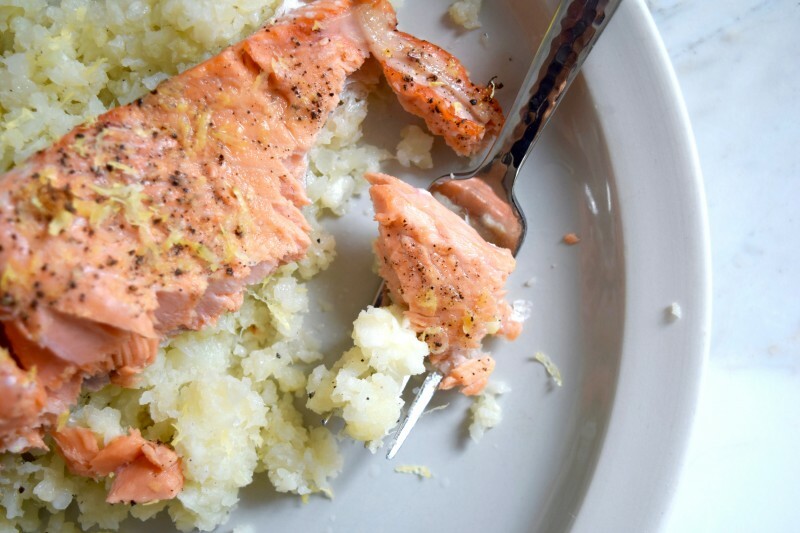 A quick baked salmon recipe. Place salmon skin side down on a baking sheet. Using a microplane, zest the whole lemon into a small bowl and set aside. Then, cut the lemon into 4 quarters. Squeeze 1-2 quarters over the salmon. Next, sprinkle a generous amount of pepper, and a pinch of pink salt over the fish. Then add a generous amount of lemon zest (you don't have to use all of it. 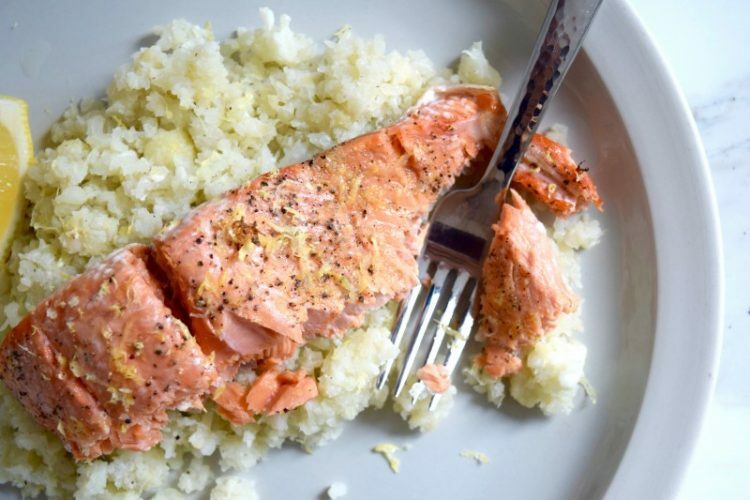 You can reserve the rest for the cauliflower rice or another use). Meanwhile, prepare the cauliflower rice. Place the chopped cauliflower in a blender or food processor and pulse on low speed until a rice like consistency is formed. Heat a pan on the stove top to medium heat. Add the oil to coat the bottom. Next add the garlic, and let cook for 30-60 seconds until fragrant, than add the cauliflower rice. Add salt, black pepper, and water, mix will then lay out flat on the pan and let cook for 7 minutes, until the cauliflower is soft. 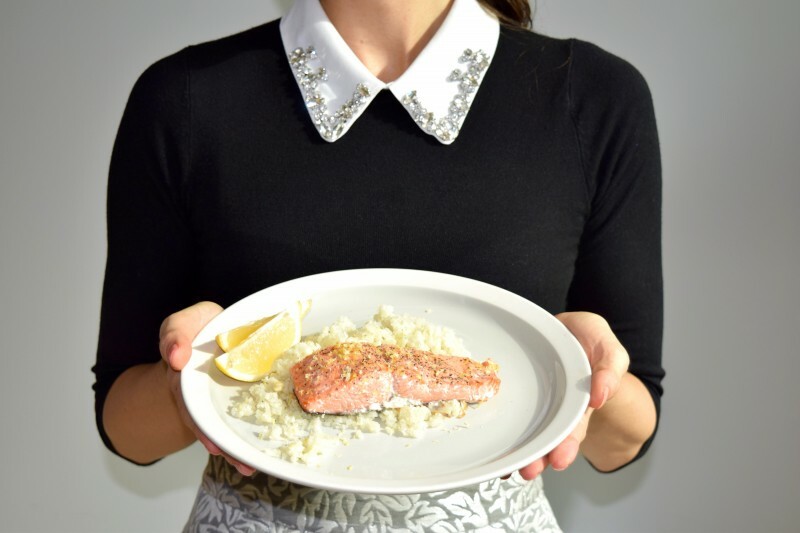 To serve, spoon a generous portion of cauliflower rice on the plate, top it with additional lemon juice and/or lemon zest if desired, then place salmon filet on top. Serve with extra lemon wedges. The smaller you chop the cauliflower, the easier it will be for your blender or food processor to turn it into rice.